In-Vitro Fertilization, the source of hope for many childless couples, is a long and challenging journey. Fertility treatment is a team effort. Your fertility specialist is obviously an extremely important part of this whole process, and hence we understand the importance of you knowing your infertility specialist. 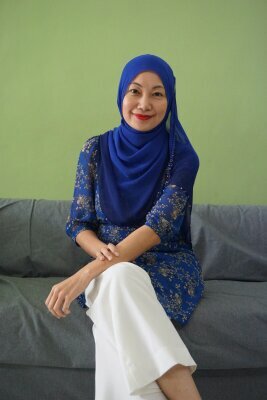 Today we have Dr Natasha Ain Binti Mohd Nor with us to tell us about herself and her specialisation. 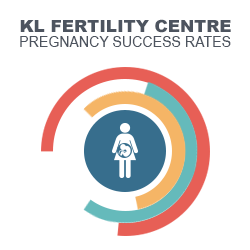 Read on to understand more about Dr Natasha and IVFku treatment facility available at KL Fertility Centre. Q: Hello doctor, thank you for taking the time to speak to us. Could you share with us your success story in becoming the doctor that you are today? A: Behind every success story would be a story of hard work, knowing what you what and sheer persistence with a very strong support from your loved ones including parents and family. My story is not very different from that above. It was a long and tough journey which needed a lot of patience and sacrifice from me and my loved ones. Not forgetting all the teachers whom I have met along the way who have given their patience and dedication in sharing their knowledge and skill to help me shape into the doctor I am today. I am forever indebted to all those who have helped and supported me along the way. Dr Natasha believes that every patient with infertility issues should be treated with a holistic approach, and treatment should be individualised. Q: What are the challenges that you commonly face in your profession? A: Being a doctor is a way of life. You spend years studying and later on after graduating slogging endless hours away working hard as a junior doctor and hopefully later eventually become a specialist and consultant. Being able to be persistent and continue to focus on your career is one of the challenges in my profession. In addition, I suppose trying to find a balance between working and being mother / wife is one of the biggest challenges faced by all women who are doctors. Quite often you have to juggle between the two and make life changing decisions. Q: We are aware that a lot of couples who find it difficult to conceive nowadays do consider IVF as an option to have a baby. Could you briefly explain to us what is an IVF and the factors that would influence its success rate? A: IVF is basically a short term named for in-vitro fertilization or best known as ‘test tube baby’. The eggs are retrieved from the women in a simple day care procedure which is then fertilized with her partner’s sperm in the IVF lab. The resulting embryo derived from the fertilized egg will then be transferred in her womb. The biggest factor which influences the success rate of the IVF is actually the women’s age. There is a higher success rate for IVF in younger women compared to older women. Hence, my advice for women out there is not to delay motherhood to long until her time actually runs out. IVF is not a magic bullet. Success rate from IVF is not 100%. Even trying to freeze your eggs is not an insurance to secure your chance to be a mother as again it does not have 100% guarantee. 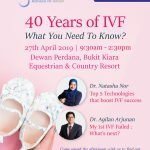 Dr Natasha explains IVFku, which is the signature programme of low cost IVF only offered by KL Fertility Centre. Q: It is to my knowledge that there is a low cost IVF. Why is the rationale of setting up low cost IVF in your unit? A: I have noticed in my practice one of the main factors deterring couples from undergoing IVF treatment even though they really need is due to the high cost of IVF treatment. So, quite a majority of couples would actually delay their treatment to accumulate the money required for it. Unfortunately, this delay which could be several years down the road could lead to the woman being much older when the IVF treatment is finally done. Just by being older in her age, this unfortunately could lead to a drop in their overall success rate in their IVF treatment. Hence, in our unit we have decided to set up a unique low cost IVF program to allow couples to be able to afford the IVF treatment. This is known as IVFku program. This is to encourage couples who are perhaps younger to be able to proceed with the treatment instead of waiting too long. At the moment, the success rate have been very good for those patients who undergone the IVFku program. We are keen to have more suitable couples who require IVF to come forward and if suitable undergo the IVFku program in our centre. 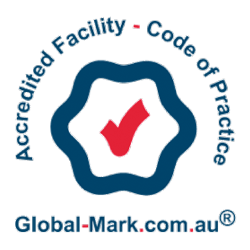 Q: Can you explain to me the differences between a low cost IVF and a standard IVF? Does it only refer to the price difference? A: In our centre, the IVFku program uses less number of hormonal injections to stimulate the ovaries. We are aiming to have less but more quality eggs to be produced and retrieve from the woman. As less number of injections are used this would lead to less side effects from the hormones and injections. Using specific regimen in the IVFku, the success rate have not been compromised compared to the standard IVF. However, not all women are suitable to undergo the IVFku program. Hence, prior consultation and assessment will need to be done to ensure that you have a suitable IVF regime to ensure the best success rate for you. 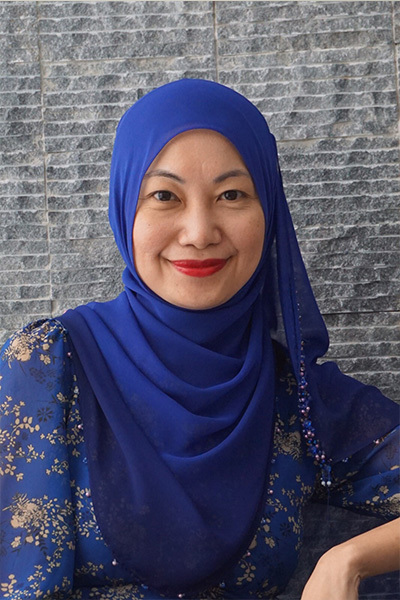 Dr Natasha Ain qualified as a doctor from University of New South Wales, Sydney, and found her passion to be in the field of infertility. 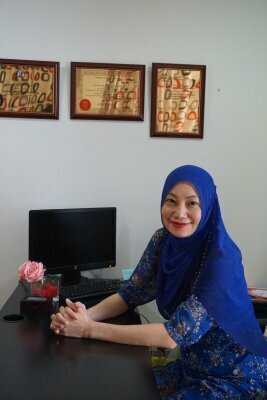 She then went on to obtain her specialist degree from the UK, and her Masters from UKM. Having gone through fertility treatment herself, Dr. Natasha has a deeper understanding of the ups and downs of the infertility journey. She continues to actively educate her patients as she firmly believes all facts should be known, and contributes with beneficial articles through her blogsite drnatashanorfertility.com.